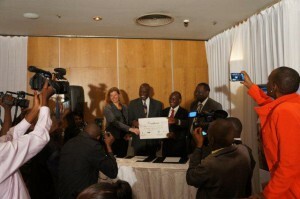 The three parties have agreed to build capacity within the NHIF to set up a stepwise certification system. Signing event at launch. fltr: Nicole Spieker, Director SafeCare; Khama Rogo, Health Specialist WorldBank Group; James Macharia, Cabinet Secretary, Minister of Health and Chairman of the NHIF Board, Prof. Oluch. Nairobi/Amsterdam, June 25, 2013 ” The National Hospital Insurance Fund (NHIF) of Kenya, the World Bank Group’s Health in Africa Initiative (HiA) and PharmAccess Foundation have signed a contract to introduce internationally recognized healthcare standards to the NHIF insurance program. 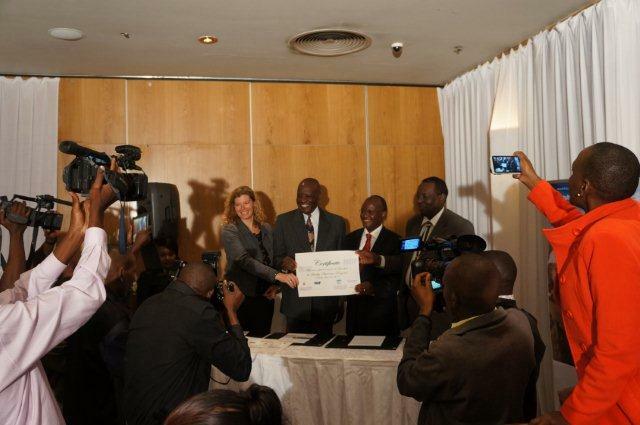 The three parties have agreed to build capacity within the NHIF to set up a stepwise certification system. The certification system will lead to accreditation based on the SafeCare standards. This will help to build trust in healthcare providers by reducing uncertainty and risk and improve the clinical quality of health facilities accredited by NHIF to better meet the needs of their patients. Overall it will result in improved access to quality health services in Kenya. An accreditation system is a key element in a health system; SafeCare offers a unique set of internationally recognized standards that are realistic for healthcare facilities in developing countries while not compromising on quality. The standards consist of multiple criteria in different areas of service delivery and offer a guided way to improve quality with formal recognition of improvement. Breaking down the standards in 13 areas of service delivery helps to formulate deliverables per area and allows to measure progress along the line of the criteria. If the facility is not fully compliant to the criteria an improvement plan can be set up to improve the situation, leading to better and safer primary healthcare services. 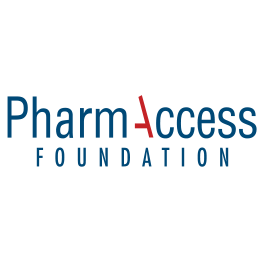 By identifying gaps on the criteria level, solutions can be implemented that improve the overall services of the facility. Aligning the NHIF’s accreditation system with SafeCare methodology will create a transparent evaluation system that will motivate clinics and hospitals to constantly improve the quality of their services and give patients information about the quality of care they can expect to receive, stated Simeon Ole Kirgotty, the NHIF Chief Executive Officer. 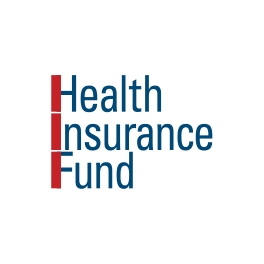 NHIF plays a key role in health financing covering approximately 6 million Kenyans including 500,000 informal sector workers, whose trust in the Fund relies crucially on the quality of services they receive from NHIF-accredited health care providers. ”Improvement in the quality of health services is constrained by inexistence of enforced and enforceable standards, jeopardizing patient health safety,” commented Dr. Khama Rogo, Health Specialist, World Bank Group and head of the World Bank Group’s Health in Africa Initiative. 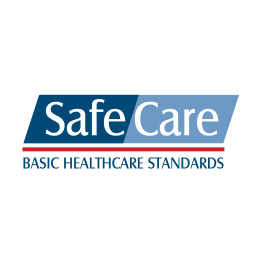 The SafeCare methodology is the most practical way to introduce and maintain standards while keeping healthcare delivery capacity intact and improving on its efficiency and effectiveness. SafeCare measures and recognizes relative improvement rather than applying a pass-or-fail system.The SafeCare system also allows for benchmarking and data-driven resource allocation which enables a more efficient use of available resources for healthcare delivery. Moreover, the data collected enables strategic decisions about efficient and effective fund allocations. The SafeCare standards and methodology is presently being applied to other health insurance and provider networks in Kenya. Its acceptance as an integral component in the Kenyan healthcare system looks promising. This will help transform quality and patient safety in Kenya as a whole. The World Bank Group’s Health in Africa Initiative (HiA) supports African governments harness the potential in the private sector to help address Africa’s health challenges. 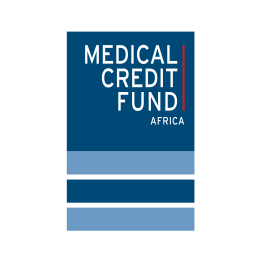 This Initiative now forms a part of the World Bank Group’s larger health strategy and reflects a commitment to help African countries make full and effective use of all its resources to attain the Millennium Development Goals. HiA is working in 9 African countries: Kenya, Uganda, Tanzania, Burkina Faso, South Sudan, Nigeria, Ghana, Mali and the Republic of Congo. For more information visit:https://www.wbginvestmentclimate.org/advisory-services/health/ .